There is always something special happening at the TNSI franchised WH Smith stores. 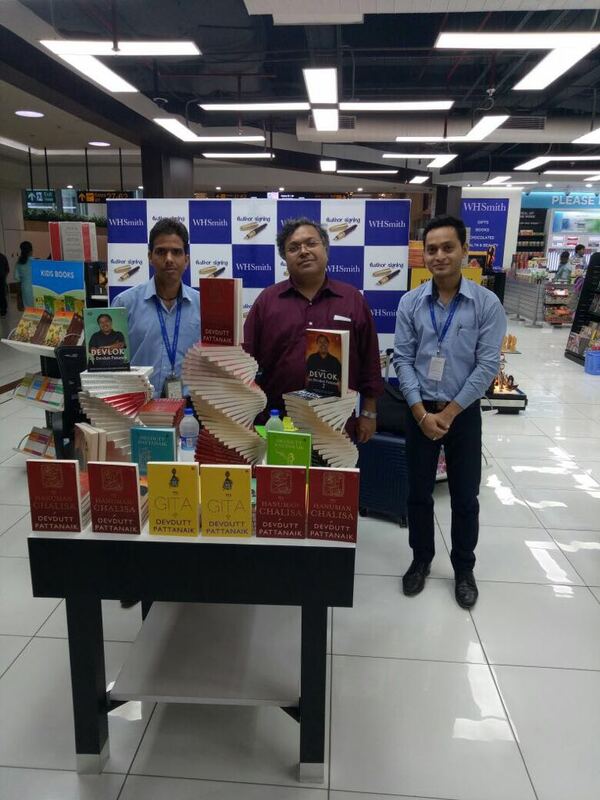 From first edition signings by authors to celebrities visits and autographed books, special brand promotions are always in play at our stores. 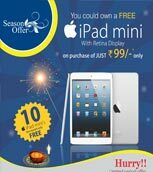 So remember to check out this site for special promotions and events that may be taking place at a store near you. 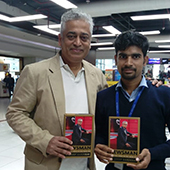 One of the most respected voices in Indian journalism, Rajdeep Sardesai is an award-winning journalist and consulting editor with India Today television. 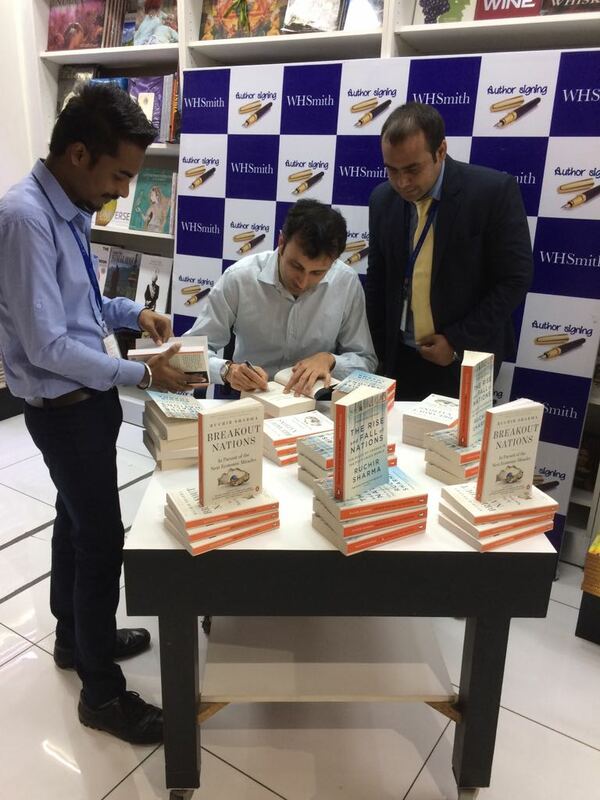 He is the author of the bestselling books, 2014: The Election that Changed India and Democracy's XI: The Great Indian Cricket Story. Venkatesh wears many hats. In his roles as private equity investor, executive coach, business leader, entrepreneur and Board member, he has helped businesses thrive and grow. He has spent a significant part of his professional life in the stock markets with Credit Suisse, Deutsche Bank and JP Morgan and continues to be an avid investor. A.J. Finn has written for numerous publications, including the Los Angeles Times, the Washington Post and the Times Literary Supplement. Finn's debut novel, the Woman in the Window, has been sold in thirty-eight territories worldwide and is in development as a major motion picture from Fox. A stylish batsman who could score against any kind of bowling, VVS Laxman played over a hundred Tests to aggregate more than 8,000 runs. Cricket fans still remember with awe his game-changing knock of 281 against Australia in 2001 at Eden Gardens. But playing for India was never easy. He was dropped as often as he was picked, and despite his vast experience and unimpeachable skill, he never made it to a World Cup team. 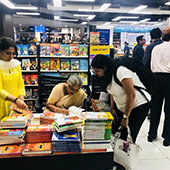 Sudha Murthy is an Indian engineer, teacher, philanthropist and writer in Kannada and English. The tales in this collection, The Upside-Down King, surround the two most popular avatars of Lord Vishnu-Rama and Krishna-and their lineage. Countless stories about the two abound, yet most are simply disappearing from the hearts and minds of the present generation. 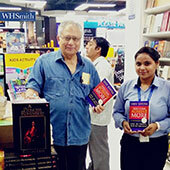 Shiv Khera is an Indian author of self-help books and an activist. 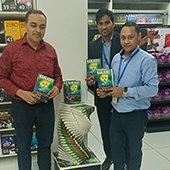 In 1998, Khera published his first book You Can Win (Jeet Aapki in Hindi), which focused on achieving success through personal growth and a positive attitude. 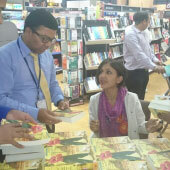 Subsequent books that Khera authored include: Living With Honor, about living honorably and respectably in a fractured world; Freedom Is Not Free, about the need for action to reform Indian society; and You can Sell (2010). 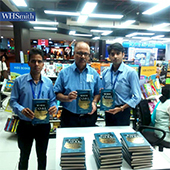 It was great having Partha Sarathi Bhattacharyya at our IGI Airport store for the launch of his new book- When Coal Turned Gold. This book is a brilliant narration of how he dealt with the Dhanbad coal mafia, how he changed the way the industry was perceived, how he dealt with the trade unions and the government and, most importantly, how he was able to script one of the greatest success stories the country had ever seen. Shilpa Shetty Kundra is a renowned film and TV actor, businesswoman, author of The Great Indian Diet, entrepreneur and health enthusiast. She has always been a trendsetter, whether it be fashion or ideas, even designing her own line of sarees under the 'SSK' brand. Shilpa is also chairman of Best Deal TV, India's first celebrity home shopping channel, and IOSIS spa and salons that have seventeen centers across India. 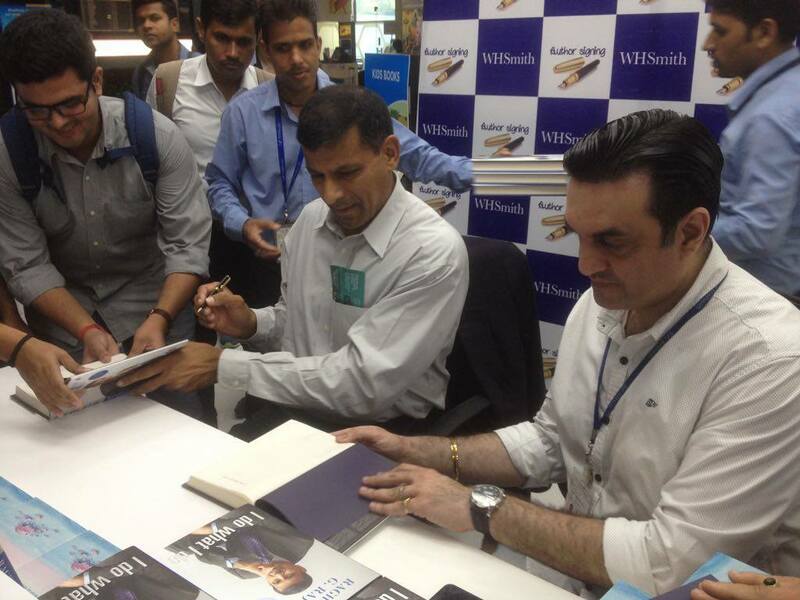 When Raghuram G. Rajan took charge as Governor of the Reserve Bank of India in September 2013, the rupee was in free fall, inflation was high, India had a large current account deficit and India's exchange reserves were falling. As measure after measure failed to stabilize markets, speculators sensed a full-blown crisis and labelled India one of the Fragile Five economies. I Do What I Do offers a front-row view into the thinking of one of the world's most respected economists, one whose commitment to India's progress shines through in the essays and speeches here. It also brings home what every RBI Governor discovers for himself when he sits down at his desk on the 18th floor: the rupee stops here. Right here! Shaped by his 25 years travelling the world and enlivened by his encounters with presidents, tycoons and villagers from Rio to Beijing, Ruchir Sharma's new book rethinks the dismal science of economics as a practical art, based not just on crunching numbers but on live observation. He shows us how to read the political headlines, the world billionaire rankings, the price of onions and popular news magazine covers as signs of coming booms, busts and protests. Parsing the complicated flood of data on debt, trade and capital flows, Sharma explains exactly which numbers are most telling for a nation's fortunes and when they signal a turn for the better or worse. 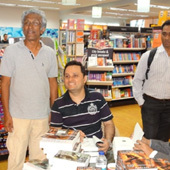 Author signing of "The Nation as Mother and Other Visions of Nationhood" by Sugata Bose. History matters in contemporary debates on nationalism,' Sugata Bose contends in The Nation as Mother. In this interconnected set of deeply researched and powerfully argued essays and speeches Bose explores the relationship between nation, reason and religion in Indian political thought and practice. Offering a subtle interpretation of the ways of imagining the nation as mother, the book illuminates different visions of India as a free and flexible federal union that have acquired renewed salience today. Breaking out of the false dichotomy between secular nationalism and religious communalism, the author provides incisive analyses of the political legacies of Tagore and Gandhi, Nehru and Bose, Aurobindo and Jinnah, and a range of other thinkers and leaders of the anti-colonial movement. The essays question assumptions about any necessary contradiction between cosmopolitanism and patriotism and the tendency among religious majoritarians and secularists alike to confuse uniformity with unity. The speeches in Parliament draw on a rich historical repertoire to offer valuable lessons in political ethics. In arguing against the dangers of an intolerant religious majoritarianism, this book makes a case for concepts of layered and shared sovereignty that might enable an overarching sense of Indian nationhood to coexist with multiple identities of the country's diverse populace. The Nation as Mother delves into history on the occasion of the seventieth anniversary of freedom to evoke an alternative future of a new India based on cultural intimacy among its different communities. 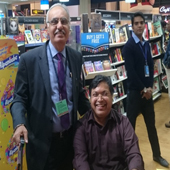 Devdutt Pattanaik is an Indian physician turned leadership consultant, mythologist, author and communicator whose works focus largely on the areas of myth, religion, mythology and also management. 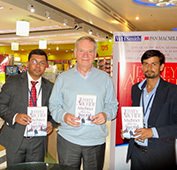 He has written over 600 articles and 30 books on the relevance of sacred stories, symbols and rituals in modern times, including Myth = Mithya: A Handbook of Hindu Mythology, Jaya: An Illustrated Retelling of the Mahabharata, Sita: An Illustrated Retelling of the Ramayana, Business Sutra: An Indian Approach to Management, Shikhandi: And Other Tales they Don't Tell You. Living in luxury amidst the splendours of Venice, she's finally enjoying the life she killed for. But someone knows what Judith's done. Judith can only save herself by finding a priceless painting - unfortunately, one that she's convinced doesn't even exist. And she's not the only one seeking it.This time, Judith isn't in control. Outflanked and out-thought, outrun and outgunned, she faces an enemy more ruthless and more powerful than she ever imagined. And if she doesn't win, she dies. 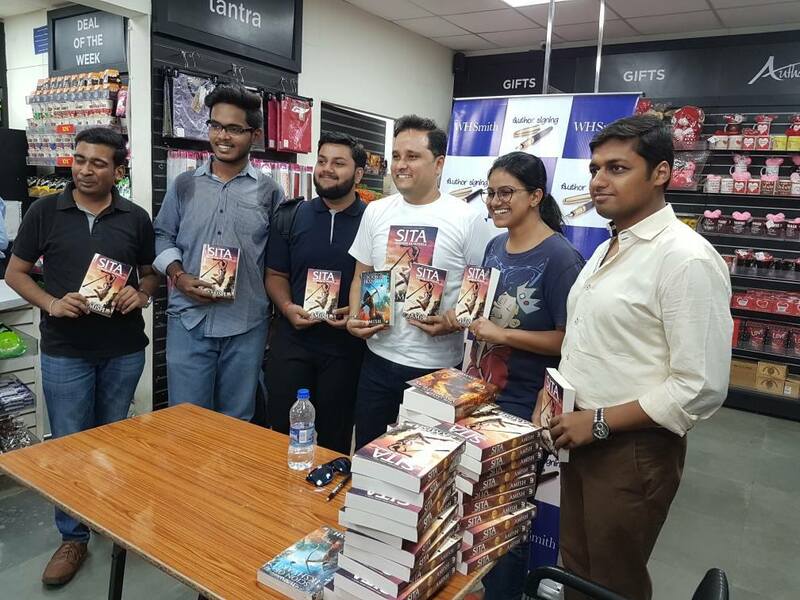 Immerse yourself in book 2 of the Ram Chandra series, based on the Ramayana, the story of Lady Sita, written by the multi-million bestselling Indian Author Amish; the author who has transformed Indian Fiction with his unique combination of mystery, mythology, religious symbolism and philosophy. 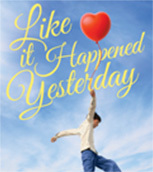 In this book, you will follow Lady Sita's journey from an Adopted Child to the Prime Minister to finding her true calling. 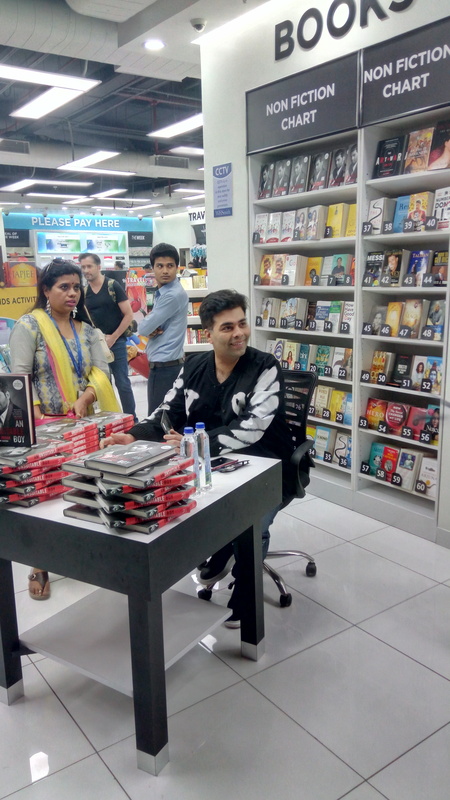 Karan Johar is synonymous with success, panache, quick wit, and outspokenness, which inadvertently creates controversy and makes headlines. Honest, heart-warming and insightful, his much talked about biography, 'An Unsuitable Boy' is both the story of the life of an exceptional film-maker and of an equally extraordinary human being who shows you how to survive and succeed in life. 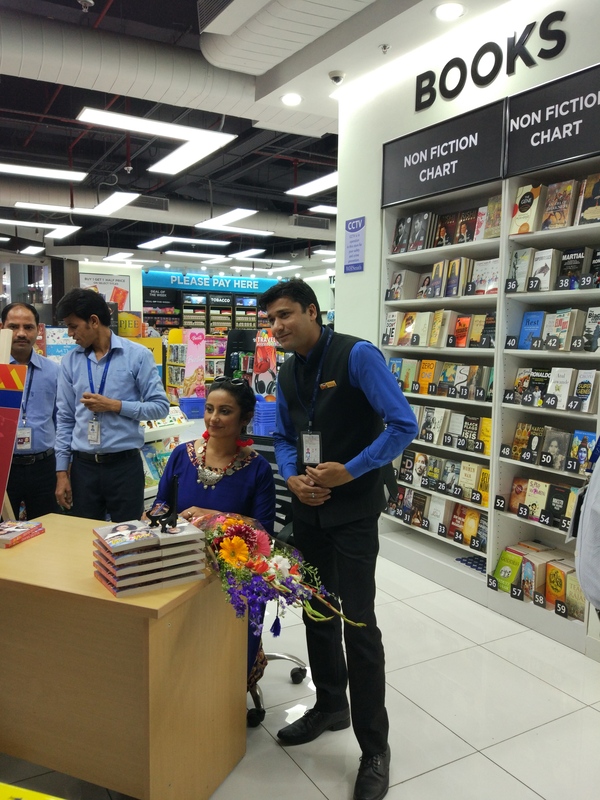 Author Signing by "Divya Dutta" for the book of "Me & Ma"
Capturing the beauty of a mother-daughter relationship, Divya Dutta in this memoir celebrates her mother's struggles to turn her into the woman she is today. Divya walks us through the most intimate memories of her life, those that strengthened her relationship with her mother. The incredible bond she forged with her mother helped her through tragedies and difficulties, discouragements and failures and led her to become an award-winning actor of stature, both in the Hindi as well as the Punjabi film industry. Me and Ma is a celebration of Divya's exemplary achievements. 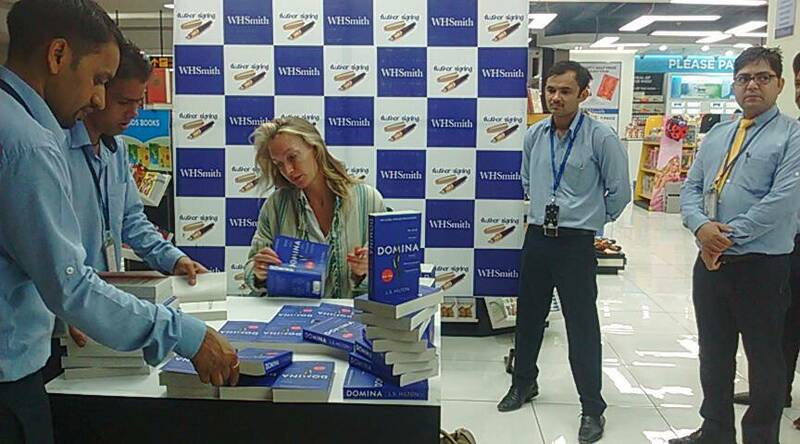 It is also an honest, intimate and heartfelt tribute to the force behind her success-her mother. 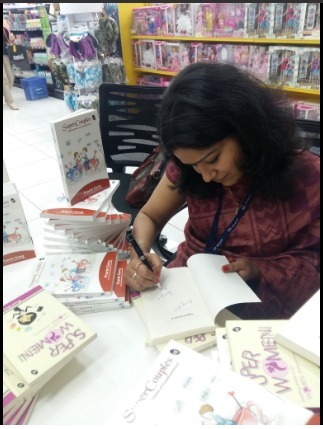 Author signing by "Prachi Garg" for the book of "Super Couples"
Prachi Garg is a new age writer, who is an entrepreneur herself. She co-founded Ghoomophiro.com and Anmoluphar.com. An alumna of Great Lakes Institute of Management, she is passionate about writing and travelling. 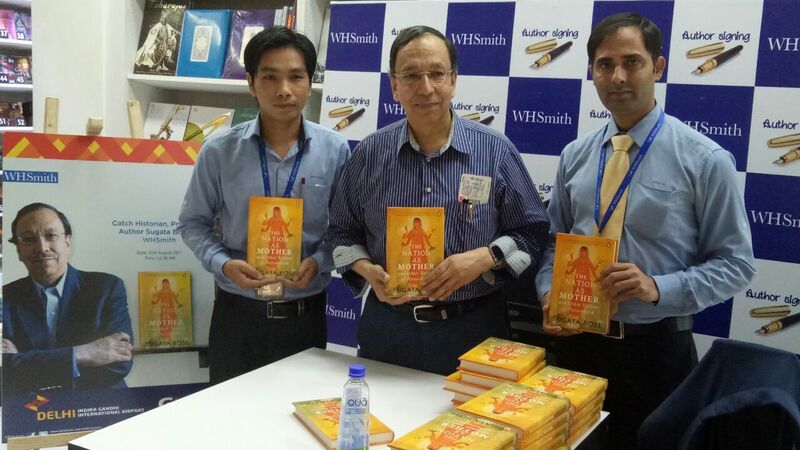 Author signing by "Devdutt Patnaik" for the book of " Business Sutra: An Indian Approach to Management "
Dr. Devdutt Pattanaik is an Indian physician turned leadership consultant, mythologist and author whose works focus largely on the areas of myth, mythology, and also management. He has written over 600 articles and 30 books on the relevance of sacred stories, symbols and rituals in modern times, including Myth = Mithya: A Handbook of Hindu Mythology,Jaya: An Illustrated Retelling of the Mahabharata, Sita: An Illustrated Retelling of the Ramayana, Business Sutra: An Indian Approach to Management, Shikhandi: And Other Tales they Don't Tell You. He is the former chief belief officer of Future Group, one of India's largest retailers, He writes a column for the newspaper MiD DAY. Anuja Chauhan is an Indian author and advertiser, often described as 'the best writer of the Indian commercial fiction genre'. She worked in the advertising agency, JWT India, for over 17 years, eventually becoming the vice-president and executive creative director, before resigning in 2010 to pursue a full-time literary career. 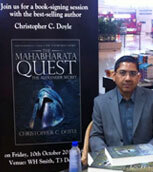 Author signing by "Christopher C. Doyle" for the book of "The Mahabharata Quest - The Alexandar Secret"
Sponsor of IPL Team "Sunrisers Hyderabad" and Meet & Greet Event. 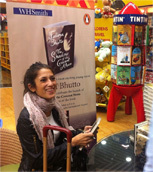 Author signing by "Fatima Bhutto" for the book of "The Shadow of the Crescent Moon"
Author signing by "Ravinder Singh" for the book of "like it happened yesterday". 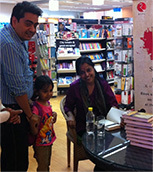 Author signing by "Kota Neelima" for the book of "Shoes of the dead". 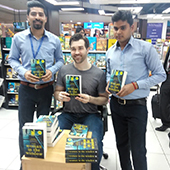 © Copyright WHSmithIndia and its suppliers. All Rights Reserved.